We do tastings by appointment at other times. Please call us at 831.566.5147 to schedule. 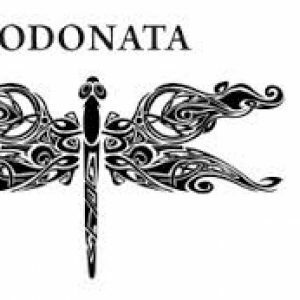 Odonata produces small batches of each of our wines. Please stay in touch as we sell out quickly! Our wines are first released to our Wine Club Members, and the remaining (if any) is available for general release directly from the winery. Odonata is the realization of my dream. I believe that high quality grapes are crucial for making high quality wines. Therefore, I am farming the majority of my production right here in the Santa Cruz Mountains. I work tirelessly in all of my vineyards and very closely with the growers of my other grapes. I feel it is essential to be in the vineyard to ensure the highest quality wine from the ground to the glass. Citrus, honeysuckle, white flowers and honeydew melon. Round, full mouth-feel with a crisp mineral backbone. This wine is like strawberry cherry shortcake! Minerals and strawberry fruit in the nose, with a yeasty-essence lurking in the background. This wine is designed for enjoyment anytime. But, it has a texture and tannin to it that play well with a multitude of foods. Creamy refined bubble that dances in the mouth. An obscure sparkler to say the least but very fun and festive wine. This wine has very flashy aromatics, notes of citrus zest and pretty blueberry fruit. The mouth has a clean fresh feeling to it and a pleasant finish that leaves you thirsty for another sip. Very fruit driven wine that screams for food and enjoyment. The flavors in the wine are spicy, fruit driven and bright. Aromatically it pulls you into the glass with blue purple fruits, and sweet fennel. Very texturally pleasing wine made for a glass to sip or for pairing with heavier fair. Fresh blackberry jam kissed with a little hint of fine brandy. This wine is fortified with fine alembic brandy, which gives it a distinctive and refined flavor.